Home Event RMLA Taranaki : Event – Twilight Christmas at the Races! 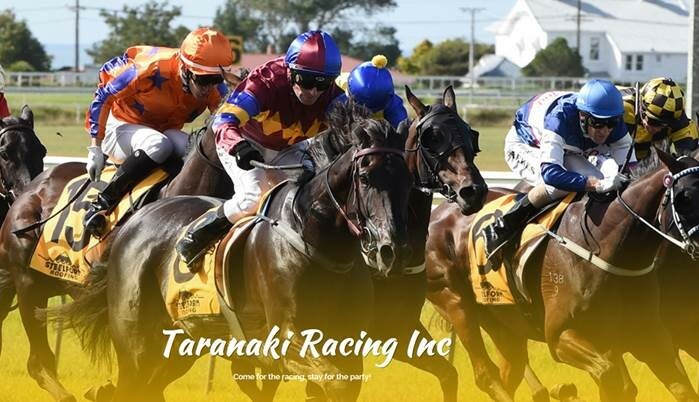 The Taranaki Branch of the RMLA is heading to the races to celebrate Christmas, come join us! The racing season heats up with a number of Summer Carnival Friday twilight meetings, festive ones at that! Join us for an afternoon of exciting racing action followed by an evening of musical entertainment. Gates open at 2pm, with the eight race card starting at 3.19pm. Last race goes at 7.20pm, following by Roadhouse Band playing in the Carnival Zone until approx.. 9.30pm. The RMLA will host you between 4pm and 7.30pm, but feel free to make a night of it! It’s the perfect way to end the week. Price includes General Admission entry and a few drinks and nibbles at the bar from 4pm. More food will be available to buy at the event.